As a kind of background to the ongoing online discussion of Cosmic Trigger, I have begun reading Timothy Leary's Trip Through Time by R.U. Sirius. 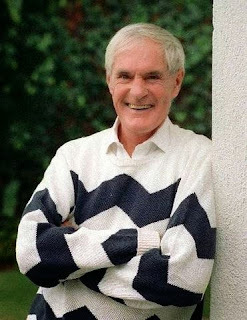 If you aren't familiar with it, it's a chronological account of Timothy Leary's life and ideas, written with wit and empathy, and published by Timothy Leary's estate. For awhile after its release, it was made freely available as a PDF, so I grabbed a copy at the time. God, the hard eye of God. Merged with this pulsing flame it was possible to look out and see and participate in the entire cosmic drama. Past and future. All forms, all structures, all organisms, all events, were illusory, television productions pulsing out from the central eye. Everything that I had ever experienced and read about was bubble-dancing before me like a nineteenth century vaudeville show. My illusions, the comic costumes, the strange ever-changing stage props of trees and bodies and theater sets. All spinning out from the momentary parts of the central God-eye-heart-penislight. He doesn't mention a pyramid, but the imagery still seem s reminiscent of Illuminatus! The book, by the way, is full of surprising revelations. I had no idea, for example, that Leary was interested in Robert Graves, one of my favorite writers. And I didn't know that Andrew Weil, the natural medicine guru, wrote an unflattering article about Leary's drug experiments in the Harvard student newspaper. Re: the Andrew Weil story: I read an interview with Ram Dass from a few years ago, post-stroke, living in Hawaii, slow of speech but still with wits. He can't forgive Weil for what Weil wrote as an undergrad at Harvard in the early 1960s...and this was 40 years later. Michael--That story was my take-away from this post as well. What Weil wrote destroyed the Harvard Psychedelic Project and cost Alpert and Leary their jobs. It cost Weil a lot more than that, however. Even though I've read both of Leary' s major biographies and a couple of his autobiographies, I found it insightful to read this timeline. I really appreciated the final section discussing Learys influence on current works. Thanks for posting.